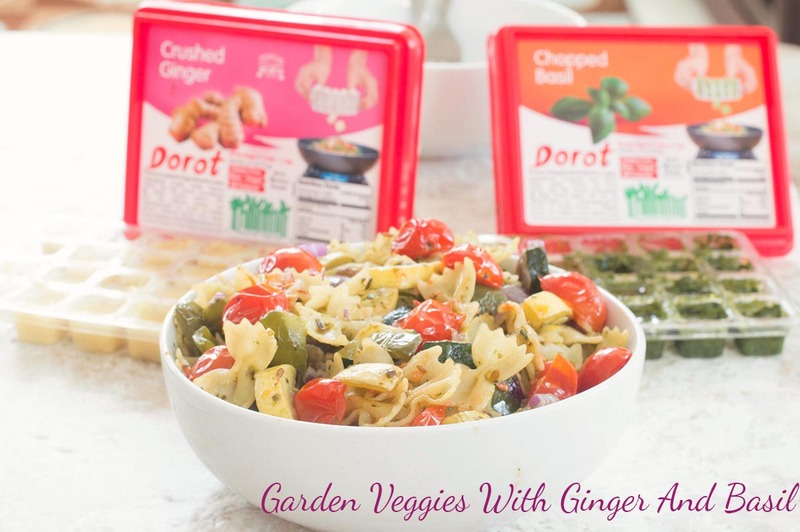 Farfalle Pasta with freshly roasted Garden Veggies Pasta made with Dorot Crushed Ginger and Dorot Chopped Basil. 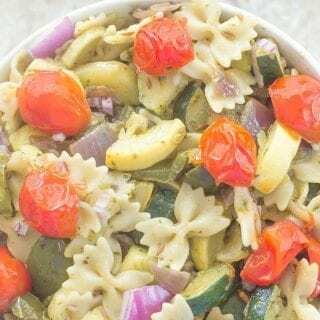 Garden Veggies Pasta made with Dorot Crushed Ginger and Dorot Chopped Basil herb. 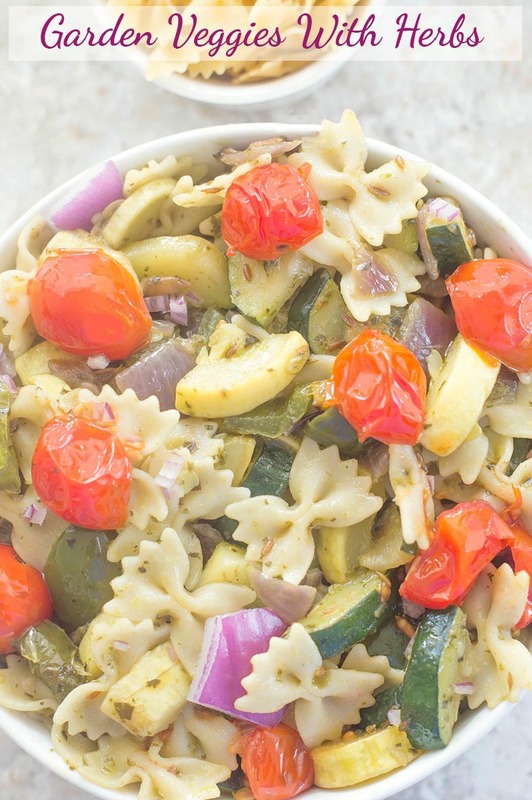 Quick and easy dinner recipe for vegans, vegetarians and meat eaters. 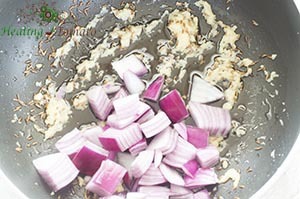 This recipe is sponsored by Dorot Frozen Herbs. All opinions are my own. I love discovering new products! Food products that make my life a hundred times easier are my favorite thing to discover. 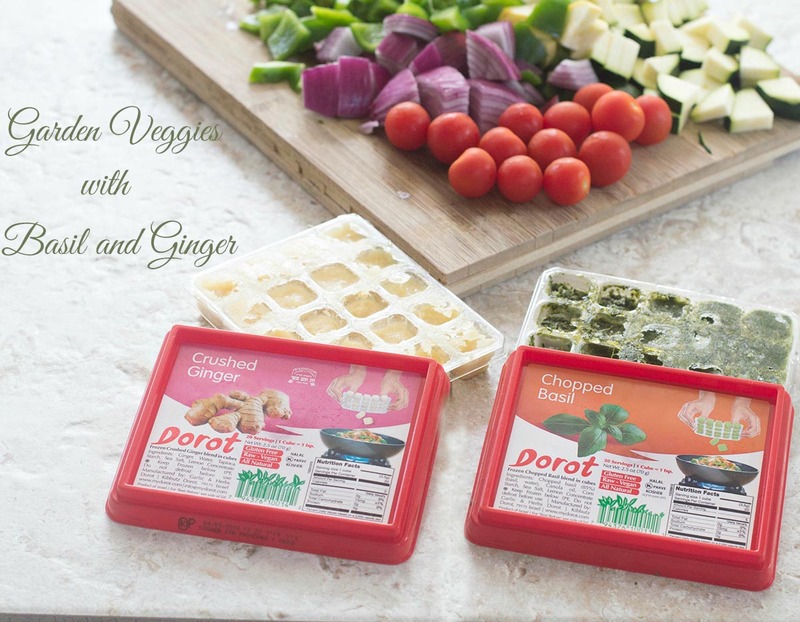 In the frozen veggies section and out of the corner of my eye, I noticed a strange rectangular box with red writing. The unfocused side of my brain immediately thought that they were candy and my hands reached up to grab them. Meanwhile, the thinking side of my brain was wondering what candy was doing in the frozen veggies aisle. To my pleasant surprise, it was a vegan and gluten free product. 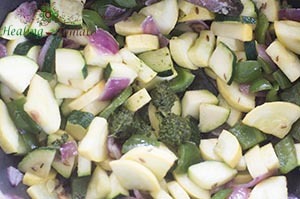 The chopped basil was frozen when fresh with other natural ingredients. There was also crushed ginger that was frozen while fresh. That, my fellow readers, is what I like to call “love at first sight”! I feel like I now live in a world where I never have to suffer the agonizing task of crushing pounds of ginger and freezing them for future recipes. 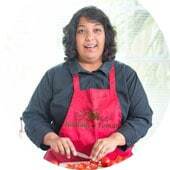 Gone are the days when I bought basil and it “spoiled” before I had a chance to use them up in recipes. 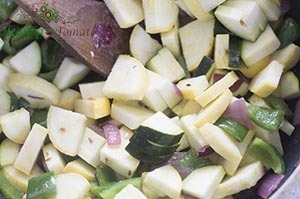 Oh, and don’t even get me started on the post-chopping clean up process. It is the end of tedious tasks! The cubes are also easy to pop out. Just turn the package upside down on your recipe and press down on one cube. It comes off immediately and cleanly. One cube is equal to one tsp so I don’t even have to do the math. 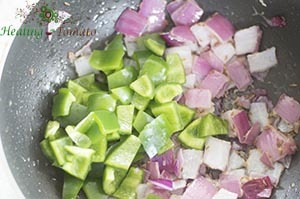 Which herbs will you make your favorite? 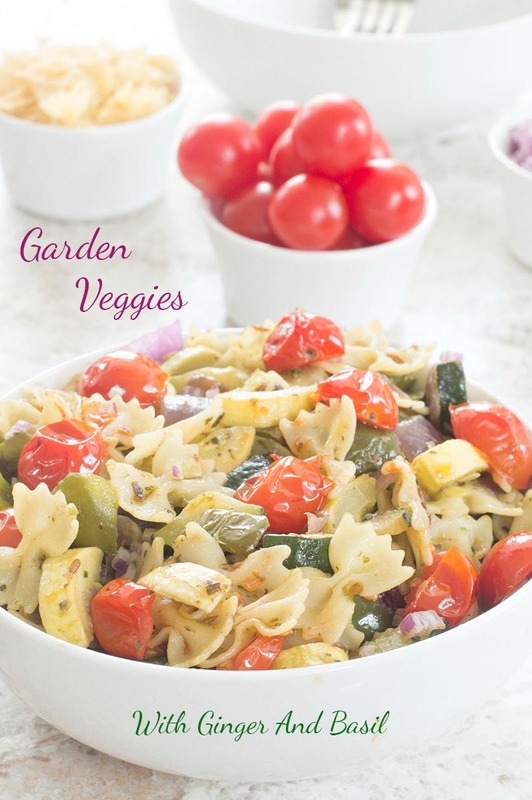 Transfer the garden veggies pasta to a serving bowl, top with sunflower seeds and devour!